In 1644, James Ussher, archbishop of Armagh, published the letters of two early Christian martyrs: Polycarp and Ignatius (Polycarpi et Ignatii Epistolae (Oxford: Lichfield, 1644)). Both were bishops in the eastern Roman Empire and both met their deaths (one at the stake, the other apparently “as food for wild beasts”) in the early second century. Not unusually, Ussher’s edition had a facing Latin translation as well as the original Greek. The Latin text was an “old” translation taken from the collation of three manuscripts, but even more exciting was the “other ancient version of the Ignatian letters, published now for the first time from two manuscripts found in England” that Ussher added (ibid., title page, my translation). While not the Greek original, this “ancient verison” was a translation of the authentic letters of Ignatius—a group of documents that had been (and continue to be) plagued with scholarly doubts about interpolation (Louth, 55). Ussher attributed the Latin translation he discovered to the thirteenth-century English bishop of Lincoln Robert Grosseteste, because Grosseteste’s quotations of the letters matched the Latin in this manuscript and because before his time Ignatius was only cited through other sources in medieval England. Ussher’s discovery of an authentic version of Ignatius’s letters in the translation of a learned English bishop had political ramifications—or so he hoped. Ignatius’s letters, in addition to containing the first recorded uses of “Christianity” and “catholic church,” are also among the earliest texts about bishops. Ignatius repeatedly insisted that congregations he wrote to obey their bishop. Such demands took on new meaning in the debates of the Reformation and Counter-Reformation. While Ussher’s new version dismissed the spurious “Long Recension,” which Catholics quoted frequently (Louth, ibid), Ussher also hoped that Ignatius’s letters would speak to his fellow Protestants. He was making a last stand for episcopacy, and of a particular kind. In November 1640, the Long Parliament discussed the powers of the English bishops and wound up revoking the power of Convocation (a kind of committee of English bishops) to create canons and directives without parliamentary appeal. In March 1641, the Lords voted to create a committee to discuss religious matters, including church government. Ussher was among the divines advising that committee. 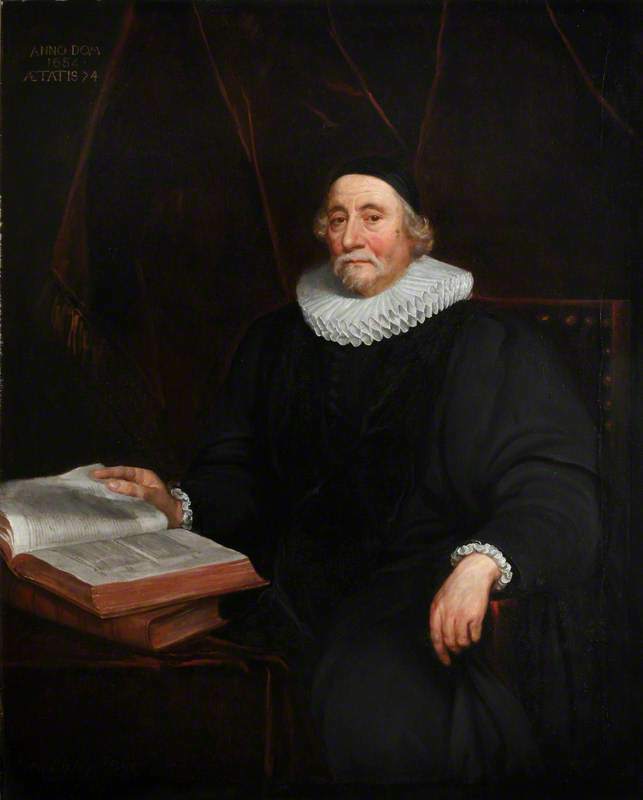 He circulated his manuscript of the Reduction of Episcopacy to the form of Synodical Government, a kind of reconciliation of episcopacy with presbyterian synods, around this time (Abbott, “James Ussher and ‘Ussherian’ Episcopacy, 1640 – 1656”). He further promoted primitive (or limited) episcopacy by having books supporting episcopacy printed in Oxford. Just a few years before the edition of Ignatius, he published writings by stauch defender of episcopacy, Jacobean bishop of Winchester Lancelot Andrewes and others that upheld the antiquity of bishops. Yet Ussher’s eagerness to find texts supporting episcopacy meant that he published works that conceived of bishops very differently from his particular model. The letters of Ignatius might seem an obvious text for anyone defending the role of bishops in the church. 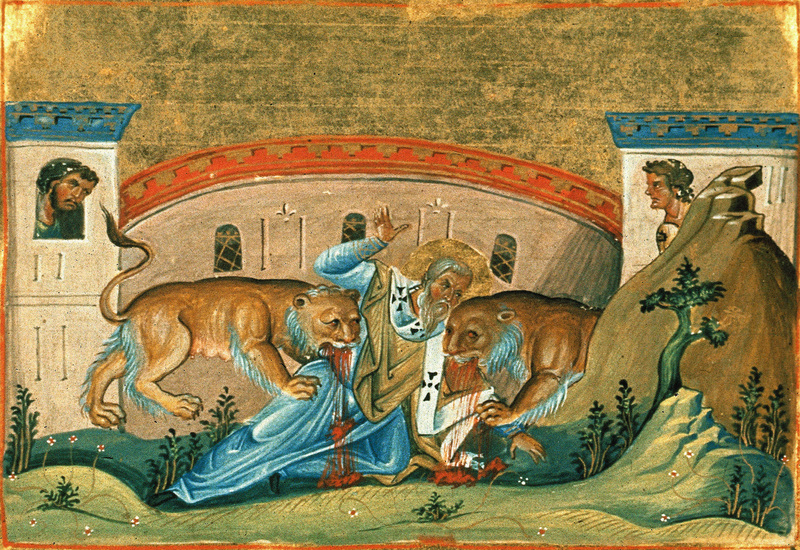 The Syrian bishop’s most popular epistle is a rather gory and unusual appeal to the Romans: “pray leave me to be a meal for the beasts” (trans. Staniworth and Louth, 86)! All of Ignatius’s letters were written en route to his martyrdom, on a journey that took him from his diocese of Antioch to Rome. Along the way, the Christian populations of various cities welcomed him or sent representatives to wish him well along the way. He thus met a number of bishops—including the bishop of Smyrna, Polycarp—and also seems to have sensed dissent from the orthodoxy they defined. Ignatius conceived of the bishop as part of an earthly hierarchy that mirrored that of heaven: “it is for the rest of you to hold the deacons in as great respect as Jesus Christ; just as you should also look on the bishop as a type of the Father, and the clergy as the Apostolic circle forming His council; for without these three orders no church has any right to the name” (Letter to the Trallians, 79). The church on earth corresponds to the divine. According to Henry Chadwick in a classic short article, it is this Hellenistic and even gnostic idea that makes sense of Ignatius’s repeated praise of bishops’ silence (“The Silence of Bishops in Ignatius”). Ignatius’s claim that “[t]he more reserved a bishop is seen to be, the more he ought to be respected” seems at odds with his demand that a bishop should dictate orthodoxy and that the prayer of “the bishop together with his whole church” is especially potent (Letter to the Ephesians, 62). It is also very different from the late Roman bishops who coopted the figure of the classical philosopher in order to speak truth to power (Brown, Power and Persuasion in Late Antiquity). In Chadwick’s view, though, “God is silence; therefore when men see their bishop silent, the more reverence they should feel towards him, for it is then that he is most like God” (171-2). Scholarly debate on Ignatius’s silent bishops continues, but we should not ignore that Ignatius was a bishop himself. We have no letter from Ignatius to his own diocese of Antioch, but he mentioned his flock, asking the Trallians to “[r]emember my Syrian church in your prayers (though I do not deserve to be called a member of it, since I am the last and least of them all)” (82). He told the Philadelphians, “News has come to me that, in response to your prayers and your loving sympathy in Christ Jesus, peace now reigns in the church at Antioch in Syria. It would therefore be very fitting for you, as a church of God, to appoint one of your deacons to go there as God’s ambassador…to offer them your felicitations” (95). It is possible that Ignatius acted as a scapegoat of some sort to ease intra-Christian tensions in Antioch by going to Rome (Brent, 44-5). This might help explain why he usually had rhetorical recourse to his identity as a soon-to-be martyr rather than as bishop. When asking the Trallians to obey their bishop, “whose very gentleness is power,” he notes, “I am measuring my words here…I could well write more forcibly on his behalf, if it were not that as a condemned prisoner I have not thought myself entitled to use the peremptory tone of an Apostle” (80). For Ignatius, authority was a paradox. Perhaps nowhere is that clearer than his chains, which literally spoke for him: “These chains which I wear…utter their own appeal to you to continue in unity” (81). As a criminal condemned to death, he is a holy figure, transient and marginal but therefore accorded special honor. Ignatius is probably the prototype for the later holy men Peter Brown describes carrying chains, “associated in the Near East…with the status of a political prisoner fallen from his high estate” (Society and the Holy, 182). He highlighted the role of bishops, but spoke from outside that role in order to do so. In fact, he leveraged his civil and legal status as a prisoner. Like his seventeenth-century editor, he circulated texts in order to defend the role of bishops in a volatile religious moment. Ultimately, he did so very differently—where Ussher argued from precedent, Ignatius used paradox. Wonderful, especially the sting in the tail. The late antique bishop not only didn’t keep silence: he gave the sermons in his basilica. Ignatius practiced a very different kind of episcopacy. But you leave me wanting to know at least one more thing. What, if anything, did Ussher say about Ignatius’s vision of the bishop’s role? Ignatius’s letters had many fascinating adventures: not least being edited by Isaac Vossius, a bit of a wild man. It was in a copy of that edition that Morton Smith discovered, or said he discovered, his fragment of an unknown Gospel. But this part of the story cuts right to the core of early modern ecclesiastical scholarship, and it’s just there that I ache to hear more.